Collecting top three results during the 2018 edition of the Lacapelle Marival Mastercross, Rockstar Energy Husqvarna Factory Racing riders have wrapped up their pre-season racing activities on a positive note. The ideal warm-up for the fast approaching 2018 FIM Motocross World Championship, the event in France saw Max Anstie secure third overall in MX1 class, with MX2 rider Thomas Kjer-Olsen finishing as a runner-up in the 250cc class. 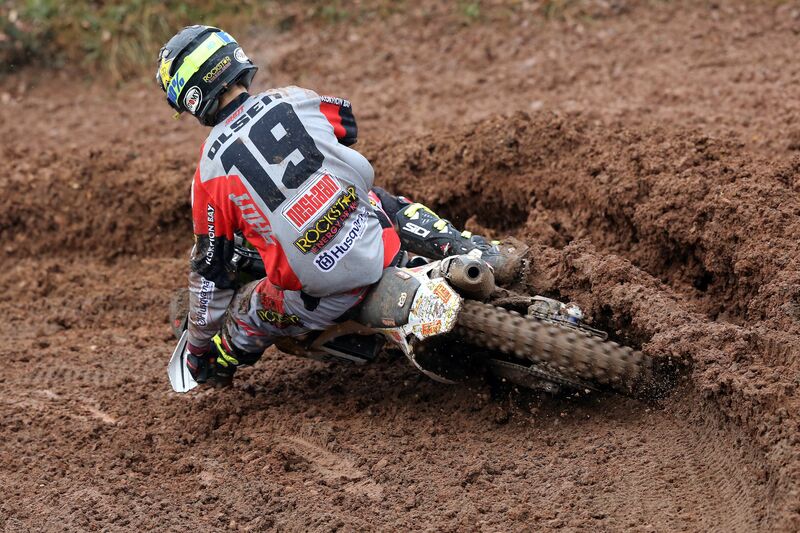 Battling through muddy conditions, Rockstar Energy Husqvarna Factory Racing’s Max Anstie delivered strong moto performances in each of the three motos contested in France. Kicking off the day with fourth in the opening MX1 moto, the Brit improved to third in moto two. Claiming third overall in the elite MX1 category, Anstie went on to wrap up the day with a solid runner-up result in the combined MX1/MX2 Superfinal. Racing in front of his home fans, Gautier Paulin suffered from a few small mistakes that prevented the Rockstar Energy Husqvarna Factory Racing rider from showing his full potential. Going 7-8 in the two MX1 motos, the FC 450 mounted rider ended the day with a seventh place result in the Superfinal. Rockstar Energy Husqvarna Factory Racing’s Thomas Kjer-Olsen rounded out his pre-season racing activities with a strong runner-up result in the MX2 class in France. Fourth in the opening moto, the young Dane went on to claim a solid second in the 250cc class’ second race. Battling through a bad start, Thomas wrapped up the day with eighth in the Superfinal. Rockstar Energy Husqvarna Factory Racing team riders will now head to Argentina for the start of the 2018 FIM Motocross World Championship on March 3/4.